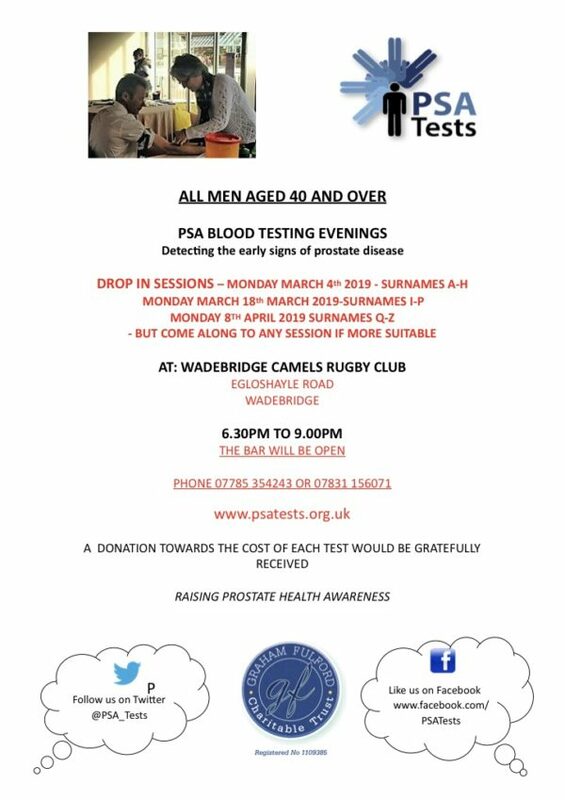 This is of great importance to all men of Wadebridge over 40, and to their loved ones who could also be affected if their men had an undetected prostate cancer condition. Last year the Graham Fulford Charitable Trust carried out nearly a thousand PSA blood tests in Wadebridge and ten people were advised to get further medical advice and monitor their PSA levels. There are often no other warnings. Please make sure the men attend one of these three sessions.